We have been encouraging mango tree planting since the 2010 earthquake that killed more than 300,000 people and left thousands destitute. 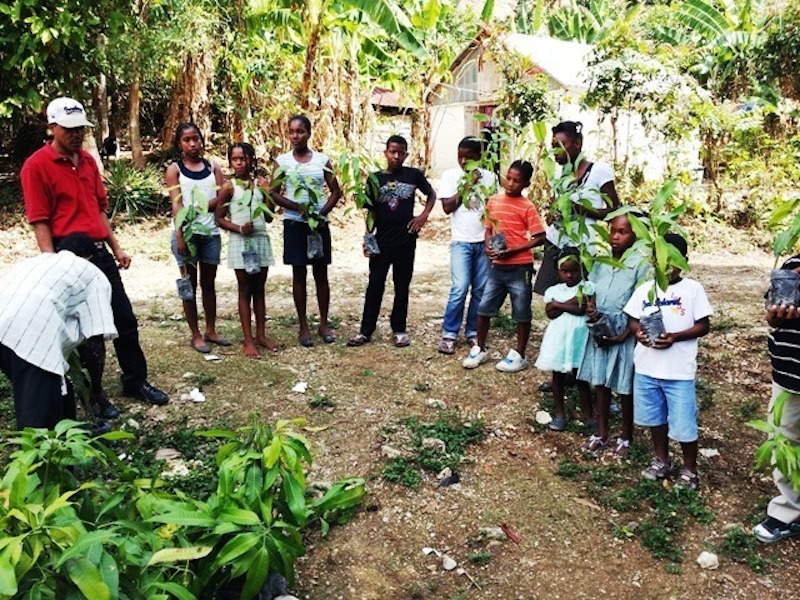 In the rural area of Bainet, Haiti, a mango tree can significantly impact the lives of the locals by increasing economic stability, strengthening family and community, as well as improve overall health. Like most other fruits; mangoes provide great nutrition for our bodies. In addition, planting a variety of mango trees will help protect the eco-system and start reversing the huge deforestation challenge that is crippling the country. Because of its health benefits, mango consumption is increasing in developed countries. Currently, Haiti is the largest producer of Fransik mangoes that are imported into the United States, yet they are still not able to meet the demands of the market. It only takes a small piece of land to produce a few trees, and the benefits are so great to uplifting and improving community; that is why encouraging small farmers throughout the country to produce is more beneficial to having a few large producers. 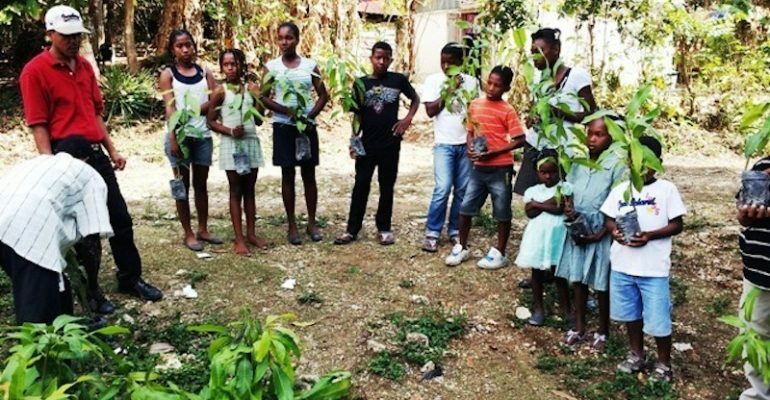 Your donation will help us purchase and distribute trees to plant. The most vital part of this project is the education that is given to students of local schools and the farmers who receive the trees. We discuss the economic and nutritional benefits but we focus on how planting the trees help in reversing deforestation. Our goal in all our endeavors is to build a community and give the people of Bainet the resources and education they need to become independent by decreasing poverty rates, increasing access to education, healthcare, housing and other basic needs.